The need for mental health awareness and education has been a growing topic of discussion in communities of color. In African-American communities, racial discrimination exacerbates the need for therapy to overcome social trauma. Direct aggressive actions such as police brutality and racial bias in the workplace are just a few of the ills that we face. Few discussions correlate more indirect and underlying issues that affect mental health. What are the emotional effects of negative environmental impacts on black and brown folks? The intersectionality of environmental justice and mental health has not been widely discussed in our community. However, with the increase of environmental justice advocacy in cities like Flint Michigan more conversations should revolve around environmental injustice and the impacts on wellness. 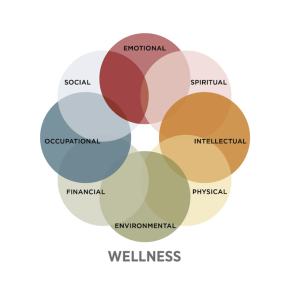 The Substance Abuse and Mental Health Services Administration (SAMHSA) gives eight dimensions of wellness, all being interconnected. If one dimension of wellness is impaired, the other dimensions are affected as well. SAMHSA defines environmental wellness as “good health by occupying pleasant, stimulating environments that support well-being”. According to the United States Environmental Protection Agency, environmental justice is “the fair treatment and meaningful involvement of all people regardless of race, color, national origin, or income, with respect to the development, implementation, and enforcement of environmental laws, regulations, and policies”. Although, the environmental justice movement has progressed significantly with the passing of the Executive Order 12898 and community grassroots initiatives, communities of color are still more impacted by environmental contamination, particularly in states that are less economically and socially progressive. Communities of color with high levels of environmental pollution are more likely to suffer from physical illnesses, such as respiratory ailments, skin irritation, and more chronic conditions such as cancer. These ailments in low-income communities place economic burdens on families (especially the elderly and the children), that consequently causes mental burdens due to enormous financial responsibilities for their families. To add to the dismay of these communities, many of their concerns are ignored by local, state, and federal government entities designed to protect them. The Los Angeles Times reported on two similar cases of methane exposure; one in the affluent community of Porter Ranch in Los Angeles and the other case in a poorer community in Eight Mile, Alabama. Both communities were exposed to the odorant methyl mercaptan, used to detect methane gas leakage. Residents in both neighbors suffered nosebleeds, nausea, and vomiting. Interestingly enough, both of these communities were exposed to methane gas leaks from the Aliso Canyon and Mobile gas plants owned by Sempra Energy. Subsequently, all 8,000 residents of Porter Ranch were moved from their neighborhood, but the residents of Eight Mile have been constantly exposed to methyl mercaptan since 2008 without any resolution. For years, Eight Mile residents were exposed to gases that not only cause serious acute respiratory ailments but can become extremely toxic under conditions where temperatures are high. How does that affect a community’s mental wellness? For one, seeing a child being constantly sick, constantly going to the hospital for seizures, and constantly getting nosebleeds would produce an insurmountable amount of emotional distress for a parent. Parents would also be concerned about the long-term effects on their children. Will they get sick and die from all of the long-term exposure? The LA Times reported that The U.S. Agency for Toxic Substances and Disease Registry and the U.S. EPA cited three cases in where exposure to methyl mercaptan resulted in death from respiratory arrest and heart failure. Children, the elderly, and people with predisposing conditions are more prone to serious illness or death in unhealthy conditions. Thirdly, with the rising costs of healthcare, debt can occur fairly quickly. Imagine having to care for family members who are ailing, with incurring costs for constantly going to the hospital. Lastly, the smell of mercaptan has not left the Eight Mile community. Residents have been left to wear surgical masks due to poignant smells that have not gone away. Physicians have even urged residents to leave, but many of the residents cannot afford to relocate. It is a fundamental right for a community to enjoy fresh air outside of their home. Environmental wellness describes a positive quality of life due to pleasant environments and surroundings. The residents of Eight Miles have suffered due to the unpleasant odors of mercaptan gas. But it is more than that. Exposure to this gas has dangerous repercussions to a person’s physical well-being and financial well-being, with constant sickness and hospital visits. State officials have all but denied the correlation between the 2008 mercaptan spill and complaints which has ended in the lack of government action. This can take an emotional and even occupational toll on community members due to their grievances not being heard by the people who are called to serve them. Lastly, the dynamic of race is important in these two cases as the more affluent residents in Porter Ranch were immediately relocated due to the EXACT same complaint. Low-income, minority communities have been subjected to the worst of conditions stemming from slavery and Jim Crow even in this current generation. Yet, the government and most of society have constantly denied that these conditions occur, which exacerbates the emotional toll and burden on people of color. Have the residents of Eight Mile voices been heard? Will our society acknowledge the heavy burden of being a black or Latino person in this country? Will our government officials on the local, state, and federal level ever promptly address the environmental injustices that plague our low-income communities without having to be sued? I certain hope and believe there will be some change. Our holistic wellness as a community depends on it. Dr. Kenya Goodson is an educator, advocate, friend, sister, aunt, environmentalist, and political junkie. She serves as the Public Policy Advisor for No More Martyrs. It is her hope to provide interesting posts that will inform, anger, sadden, and provoke individuals to be their very best member of society. She can be reached at KGoodson@NoMoreMartyrs.org.